Like everyone else, I got the updated beta invite for Power BI today in my inbox. I’ve been using PowerQuery in Excel 2013 for awhile already and am really liking it, so I thought I’d record my experiences setting up Power BI in Office 365. 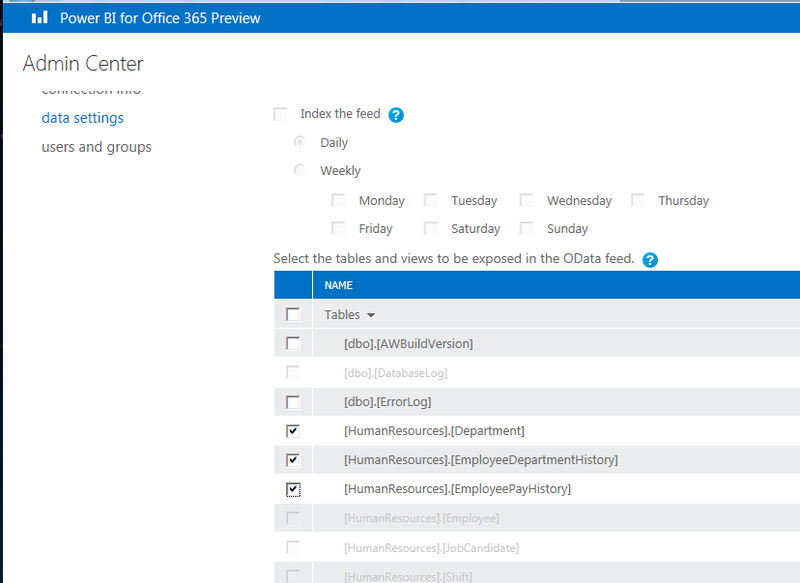 There were a couple of tricky parts, such as making sure to assign the proper amount and types of licenses to the Office 365 users and in activating the gateway, but I did manage to get through the set up. 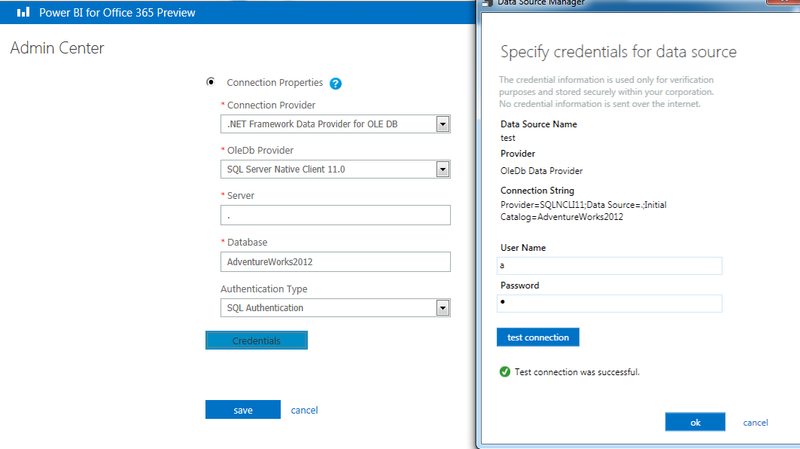 Unfortunately, although I was able to set up a Gateway and SQL Server Data source, I was not able to connect to my data source via Power Query. This could be my own error as I ran through the steps quickly. I’ll re-visit this over the next week or so. Below are some screens showing parts of the process of setting up the connection to a data source via the gateway. Next setting up which parts of the data (in this case which tables and/or views) are part of the data source. 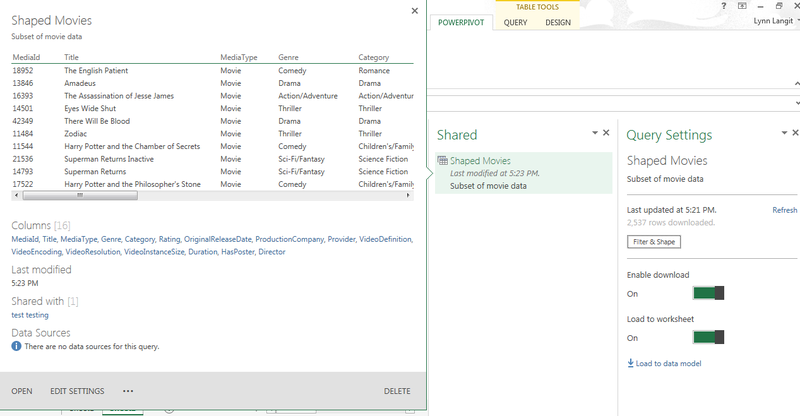 After updating my Power Query bits, I was able to create a query, share it to the organization and then to ‘see’ the query via the search capability in Power Query, when the query was scoped to the ‘Organization’. Also, I didn’t have time to try out the natural language query capabilities and the query logging (overhead and usage) on the portal. I did quickly try out searching on some of the terms in my shared query and found that I did get a result when I searched on a column name in the query. There are also a set of PowerBI features available on SharePoint 365, that I’ll be looking into over the next few weeks or so. So far, I really like what I see and am looking forward to working more with this release. Below is a short screencast of my experience trying out the bits today. 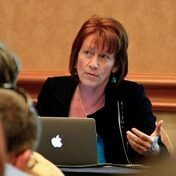 Do you have post explaining features of SQL azure data sync?